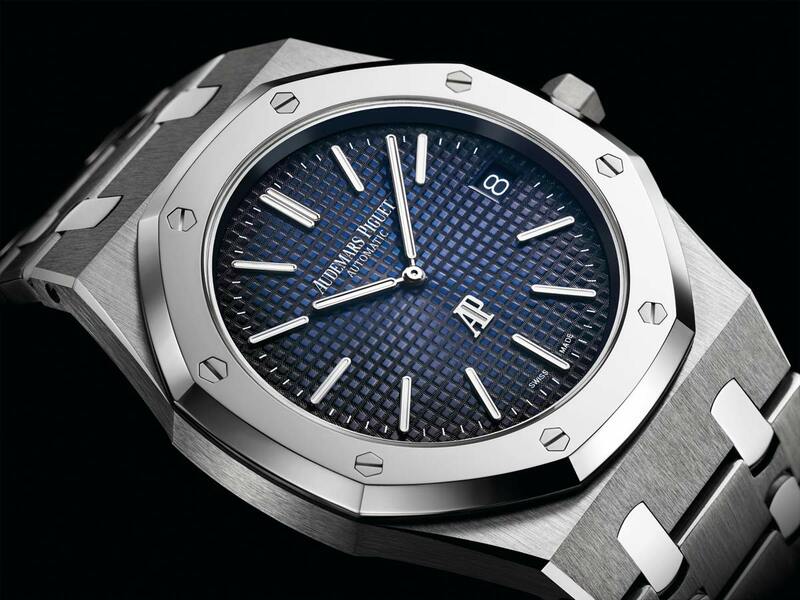 At SIHH 2018 Audemars Piguet presented a limited edition of its iconic Royal Oak “Jumbo” Extra-Thin — for collectors and watch enthusiasts, the renowned reference 15202 — where satin-finished titanium case and bracelet are combined to polished 950 platinum bezel and links. 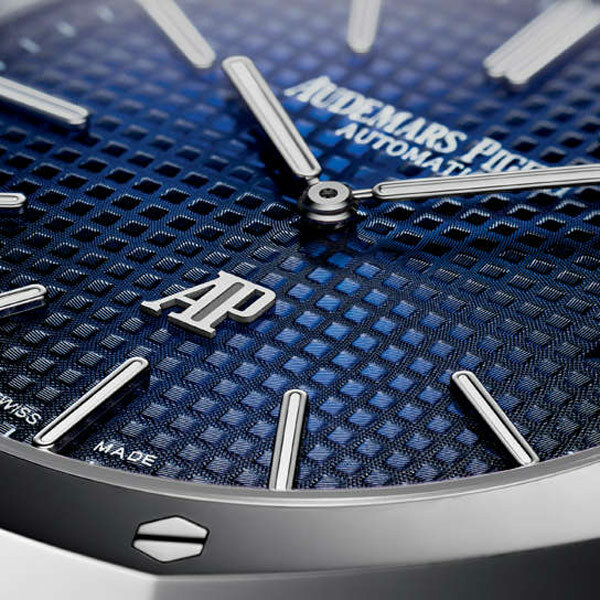 Protected by a glareproofed sapphire crystal, the dial features the unmistakable “Petite Tapisserie” decoration but with a smoked blue effect. In contrast with the background, the white gold applied hour-markers and Royal Oak hands with luminescent coating offer excellent legibility. Water resistant to 50 metres / 165 feet, the 39 mm case houses the self winding manufacture Calibre 2121 beating at a frequency of 2.75 Hz (19,800 vibrations per hour) with a minimal guaranteed power reserve of 40 hours. 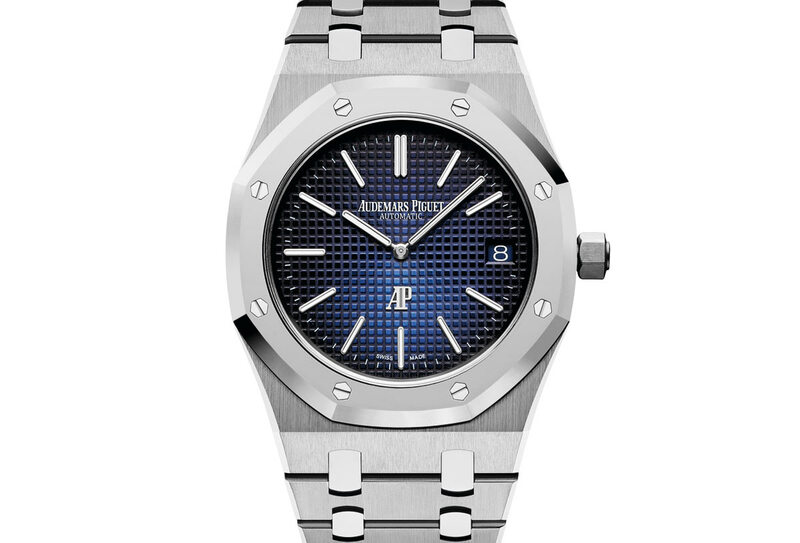 Audemars Piguet Royal Oak “Jumbo” Extra-Thin in titanium and platinum, 2018 model. 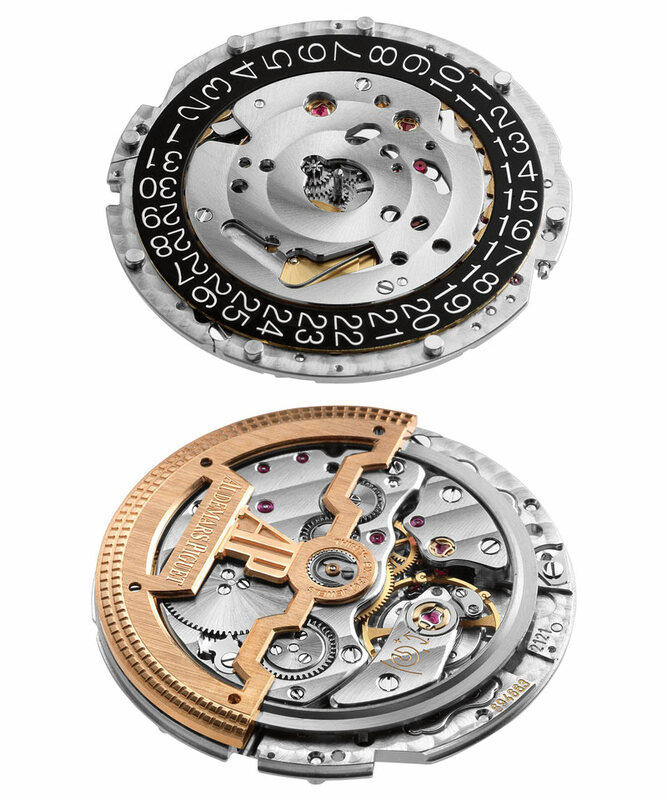 A limited Edition of 250 pieces. 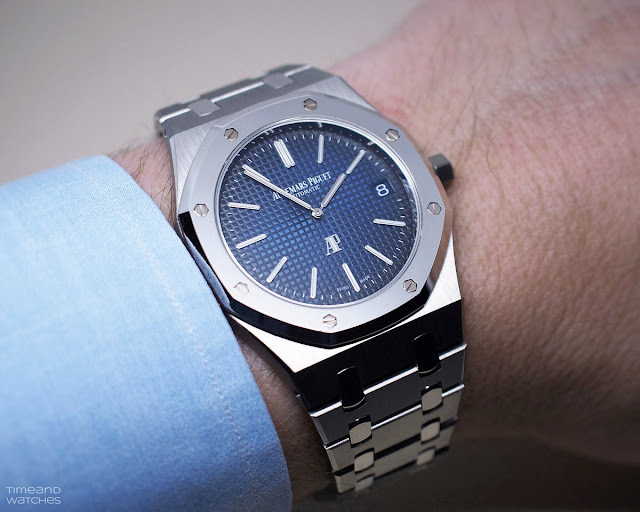 Price of the Royal Oak “Jumbo” Extra-Thin ref. 15202IP.OO.1240IP.01.